View More In Glitter & Shimmer. 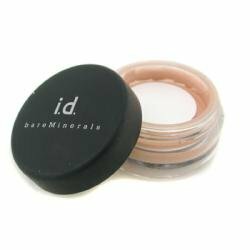 Surrender to the incredible creamy feeling of crushed bareMinerals® Eyecolors. Velvety-smooth and unbelievably blendable, these vibrant stay-true shades won't smudge, run or fade. Free of harsh preservatives, talc, oils, waxes, fragrance and other chemical irritants. Experiment, mix and match. - (G) Glimmer: High-intensity shimmer. Can be softer and more translucent when worn dry, but creates an opaque wash of high sheen-known as foiling-when worn wet. - (M) Matte: The most opaque eyeshadow from Bare Escentuals®. Incredibly creamy color with a rich, velvety finish. - (Sh) Sheen: Satiny-soft and sheer with a touch of glow. Wear it dry for whisper effects, or wet for a more opaque sheen.0.02 oz. By Bare Escentuals®. If you have any questions about this product by BM, contact us by completing and submitting the form below. If you are looking for a specif part number, please include it with your message. © 2019 - angelstouchvegas.com. All Rights Reserved.